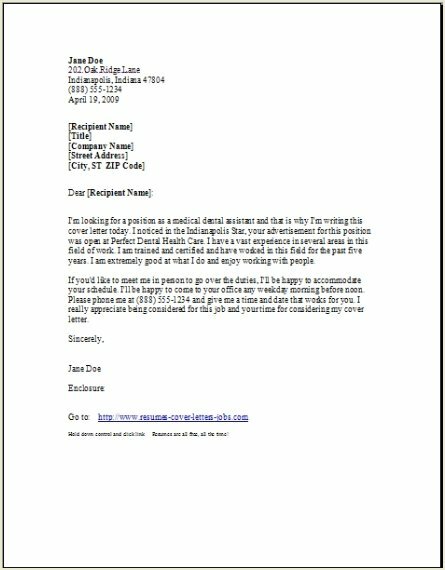 A Dental Hygienist Cover Letter is like a summary of all your skills and professional experience you have obtained working for a dental practice. 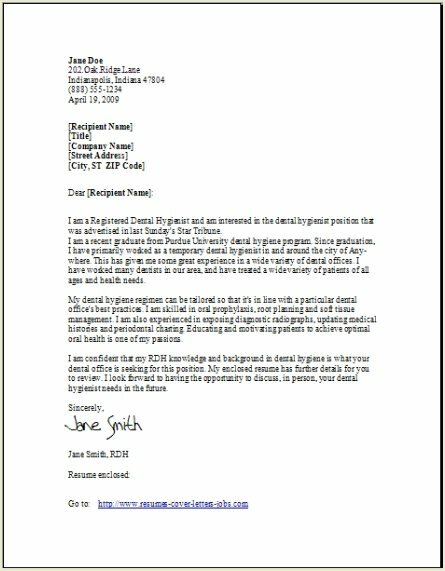 Your cover letter for the dental hygienist position must show your enthusiasm you have for the job along with your experience and your achievements. In fact, the more you can show them that your skills match their own job description they created, the better your chance for an interview for this position. Read their own description very carefully, and then mention these items briefly in your cover letter. This would be a (must do) organization plan for your cover letter if you expect to win an interview. A Dental Hygienist is a people oriented demanding job. Now would be the perfect time to communicate to them that people love the way you take care in explaining about the oral heath concepts. Possibly state that you are indeed satisfied performing in this profession and love the rewarding feeling the patient feels after you have completed your work. When your day comes to an end at the office, you feel you have given 100 percent in pleasing every customer in the best way you can. 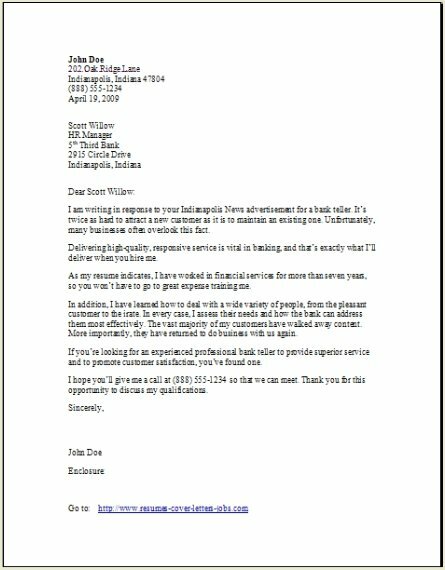 A professional looking cover letter has no mistakes. Your first impression really counts. Now it's your turn to take over by making the dental hygienist cover letter you see below, your own. Make them aware that you possess all the specific skills and experience they are looking for, and that you will explain in great detail in your interview. I found your opening for the dental hygienist job posting so I wanted to send you my cover letter to let you know how interested I am in this position. I hope this is still open as I do have experience in this particular area of work. I am a registered and certified dental hygienist, and also have five years experience working at a job I love. My husband, my two children and myself just moved recently into this area. I would really love the great opportunity you are offering to work with patients in your dental practice. Helping people with oral health knowledge is my passion. Give me the chance to explain my experience and also how I can contribute to your team. I will be more than happy to accomadate your schedule. Schedule me to come by your office at any conveinient time for you on any weekday. You can contact me here (812) 100-339 with the best date and time that works for you! Please accept my appreciation for your time looking over my cover letter. My next step will be to contact you in the next week just so I can make sure I won't miss out on anything you may have already scheduled. As you know, you need at least an associate's degree to obtain this great position. All of our states do require that dental hygienists be licensed; so depending on where you live, check out your own state's requirements. If you are a high school student and are thinking about becoming a dental hygienists, my advice would be to take courses in biology, mathematics and also chemistry. It is helpful to be prepared in high school with these courses I mentioned because some dental hygiene professional programs may require that applicants to their program complete 1 year of college at a minimum. Not all though so don't get discouraged. Again check out each program that is in your area for your best choice. Send your dental hygienist cover letter to places similar to those below! Look for dental hygienist jobs at these places near you. In general a lot of dentists will not advertise their DH opening. Just as a hint for the go getters, most jobs are found by "cold calling" dentist offices located in the phone book. So yes, the good old handy phone book is your friend in this case. Once you have passed the program and have your dental hygienist license, just call one after the other out of the phone book. Leave your resume with all of them. Make a visit to their office because even though many dental offices may not be currently hiring, they most certainly can refer you to another dentist office, they all stay in touch and they know who is hiring.